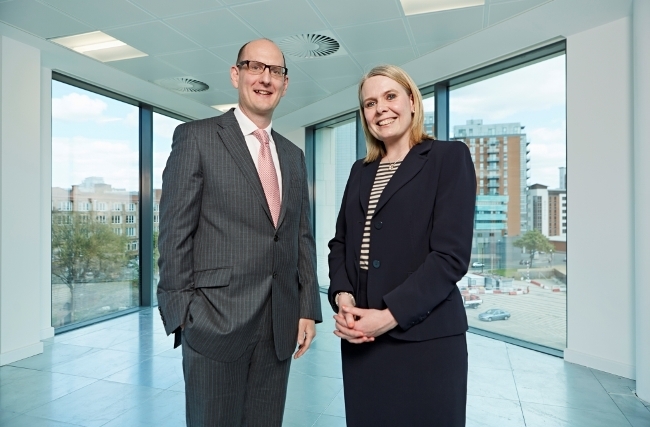 Leeds-based corporate solicitors Shulmans has made two senior level appointments to its Corporate and Commercial Unit, following a 22 per cent rise in the department’s turnover in the last year. Emma Greenwood joins as a partner in corporate finance and Tom Watkins joins as a senior employment associate, with his appointment bringing the employment team a new area of specialism in the education sector. Emma, who lives near Skipton, is experienced in all aspects of corporate and company law work. Her key practice areas include advising on mergers and acquisitions, shareholder and investment arrangements, group reorganisations and private equity and venture capital transactions. She has previously worked at both Addleshaw Goddard and at Schofield Sweeney, where she was a partner in the corporate team. Emma has a specialism in the food and drink sector. Tom, who lives in York, handles all elements of employment law, with particular expertise working on major strategic projects and TUPE, and has previously held positions at both Bond Dickinson and Langleys. He specialises in the education sector, working with independent schools, as well as academies and further education colleges. Tom is also a trustee of PRIME, a Prince’s Trust charity which encourages and supports mature enterprise. “I’m delighted to be joining the Corporate and Commercial team at Shulmans. “Despite difficult market conditions, the last year has obviously been a period of impressive growth for the unit. “This is an exciting time to be joining Shulmans, with the move to 10 Wellington Place due to happen shortly. “We’re pleased to be welcoming two such experienced people to our team at Shulmans, on the back of another year of growth for the firm, and a very strong year for the Corporate and Commercial unit. “There has been a noticeable pickup in activity in the market over recent months, with the size and quantity of deals we’re involved with both increasing.